International Amateur Radio Union Region 1 homepage. 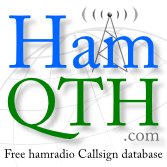 The federation of national associations of radio amateurs from Europe, Africa, Middle East and Northern Asia. Every April 18th, radio amateurs worldwide take to the airwaves in celebration of World Amateur Radio Day. It was on this day in 1925 that the International Amateur Radio Union was formed in Paris. April 18 is the day for all of Amateur Radio to celebrate and tell the world about the science; this is an opportunity for amateurs to show there expertise in digital and wireless communications, to those in the community who have “wireless communication” interests, but haven’t considered the association with Amateur Radio. How the day is promoted is a matter for the individual member society and or Region. Groups should promote their WARD activity on social media by using the hash tag #WorldAmateurRadioDay on Twitter, Instagram and Facebook.